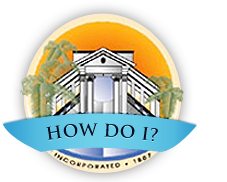 The Colton Public Library welcomes donations from individuals and groups. When able, the library does accept donations of lightly used, previously owned books or other library materials. The library, however, reserves the right to make a final selection of materials which will be added to the collection. 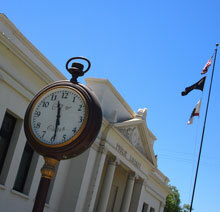 The Friends of the Colton Public Library support projects that benefit the library. The sale of used books and magazines in the Friends’ sales area at the Main Library is an ongoing fundraiser. All proceeds are used to support library services, programming, and to purchase special materials not usually covered by the city’s general budget. Friends of the Colton Public Library is a non-profit organization that was formed to support the library and to assist with the delivery of cultural and informational programs and events to library visitors. The Friends support various projects which benefit the library. The Friends of the Colton Public Library welcome new members. The Friends meet once a month, on the first Wednesday at 6:00 pm in the Community Room of the Main Library at 656 North 9th Street. Library volunteers play an important role as support in the library's mission to provide quality library service. Volunteer help is regularly needed with collection maintenance, at special library events and programming, adult literacy services, and after school homework help. If you are interested in helping, please call (909) 370-5083 for more information. The Friends of the Colton Public Library invite you to honor your family, a friend, or memorialize someone special by purchasing a commemorative brick. Dedicating a brick costs $100. Your permanent, inscribed brick will be set near the clock at the Carnegie Public Library at 380 North La Cadena Drive. The net proceeds raised will enable the Colton Public Library to establish a fund for additional educational programs for adults and children in the community. For more detail please contact the Colton Public Library at (909) 370-5083. Thank you for your support!